Non-fiction works is a veritable potpourri of print and e-books. 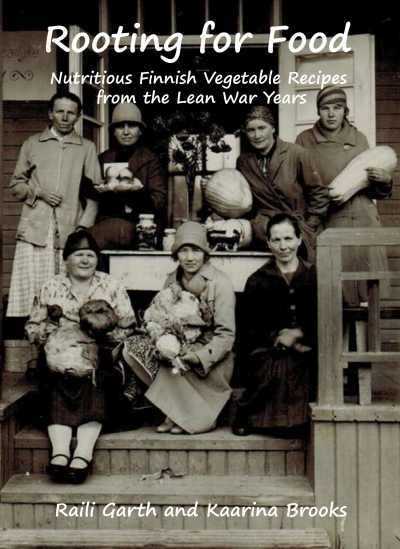 Rooting for Food, a historical cookbook with vegetable recipes from the lean war years, Trailblazers brings to life the 76-year history of the Port Arthur branch of the Loyal Finns in Canada. Poetry books, and a number of interesting essays on literature, philosophy and social issues round out this selection. During the turbulent war years, 1939-1945, Finnish women on the home front struggled to conjure up nutritious meals out of the scant resources available. Rooting for Food gives the reader a sampling of the recipes they used. A chronology of the war in photos and interesting facts give the recipes a historical context. 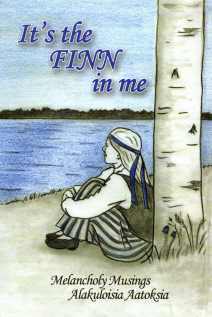 Excerpts from letters, biographies and memoirs give a unique look into life in Finland in those difficult times. 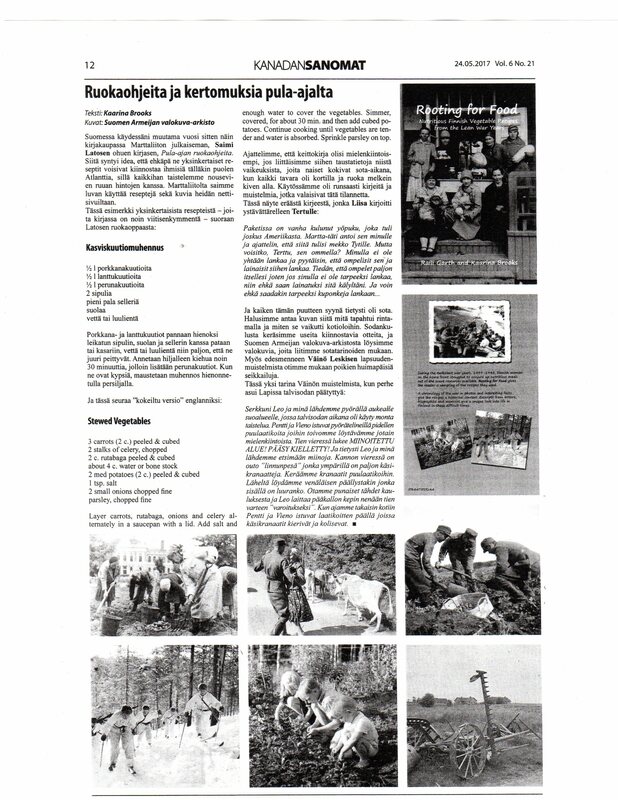 Rooting for Food has been showcased in an article in Kandan Sanomat May 24, 2017. Check out the article here. 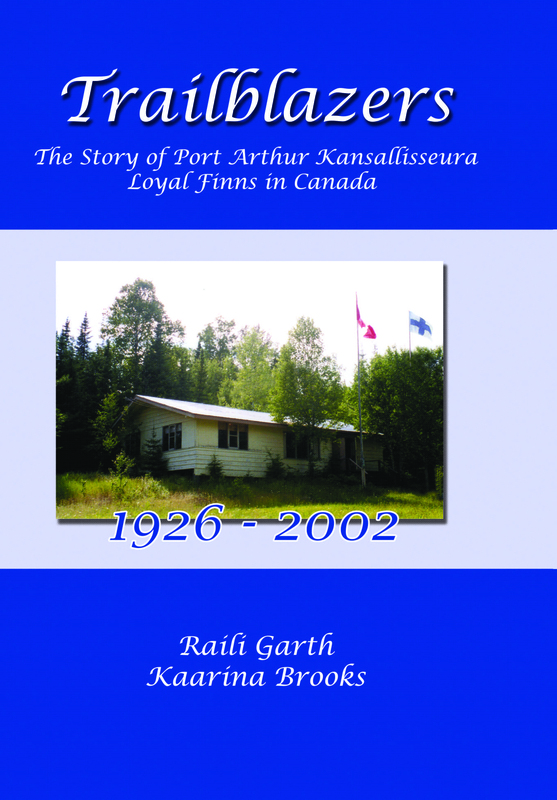 “Trailblazers” is what the members of Port Arthur Kansallisseura have sometimes been called. This book brings to life these people and gives the reader a glimpse into their activities. They are shown, not merely as names in recorded entries, but as dedicated, vibrant, funny, talented men and women, striving to make a difference in their time. Trailblazers is available in print from Amazon.com. Written and translated by Kaarina Brooks, this poetry book gives you a chance to read the same poem side by side in English and in Finnish. The illustrations, drawn by her further help to reflect the feelings she is trying to convey in the poems.